This Christmas Gift Guide for the Outdoor Person is for the thrifty guys or gals in your life who love to go camping, hiking and more in the great outdoors. My wife commandeers most of my cool camping items. Ladies, when buying gifts for your husband or significant other, think in terms of what you like too. 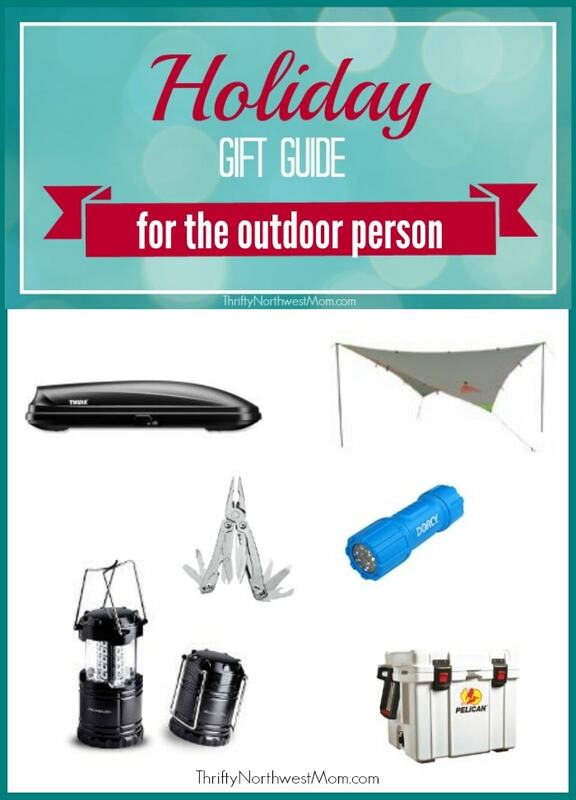 For the campers & people who love the outdoors in your life, I have compiled a top camping & outdoor gift guide for under $500. Most of the people who I know are budget minded and want the best deals possible. Some of the best gifts I have ever given are those that are under $25. In my experience, inexpensive gifts are appreciated more than the big-ticket items because they really are a surprise. 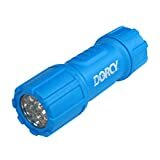 My family owns 4 of these flashlights. I keep a few in the house and in our vehicles. They are super bright and almost a “throw down” item. I have dropped (by accident) several Dorcy flashlights into the 5-gallon porcelain bowl (toilet) and all have survived. I have carried one of these for years. It fits right on your keychain and is hidden in plain view. It’s a screwdriver, bottle opener, knife, and saw. 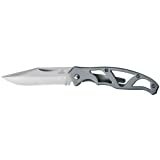 My wife and I like sharp knives for camping that can be stored in our pockets. We use them for cutting fruit, filleting trout, and cutting rope. At a throw down price under 10 bucks, you cannot go wrong with this Gerber. Total length is about 5′ 34″ and weighs about 1.5 ounces. Whether you are a car camping or back packing in the wilderness, nobody will argue that water is more important than food. This unit weighs a few ounces and will outlast you as it will filter over 100,000 gallons of water. 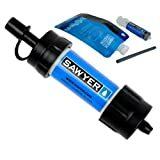 Sawyer’s 0.1 micron absolute filter removes biological bacteria and protozoa so you will feel confident drinking water from questionable sources like mountain lakes and streams. This super bright and lightweight LED barely squeaks under the $25 limit. It’s a top seller at Amazon because it’s so bright and lightweight. It has a 10 year warranty. There is no reason to not own one of these of you are a camper. I am an ultra light weight back packer and I would carry one of these for the late night dinner and reading in the tent. This is one of those gifts that you cannot go wrong buying. 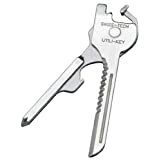 Even if the person you give this tool has one, he can always keep one in the car, garage, or as a spare. I don’t like drinking water out of plastic because it tastes bad and is known to leach toxins that are hazardous to your health. 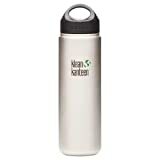 This stainless steel water bottle is my favorite because it’s wide enough to drink out of without spilling. The 27 oz bottle is perfect for hiking or running because it’s easy to grip with one hand. The Deal of the Day is always a smokin’ hot deal at REI. Some items are 50% or more off. Bargain hunters ought to be checking this every day. The deal of the day qualifies to be #1 on the list. I buy a lot of equipment from REI because they stand behind everything. Returns are hassle free. I have a 9 year running track record of camping without a rain jacket or camping tarp. Call it good luck until this summer where it rained on and off for 3 weeks. 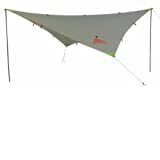 I could have used a Kelty Noah’s tarp shelter to stay dry while cooking. It’s light weight and easy to set up. 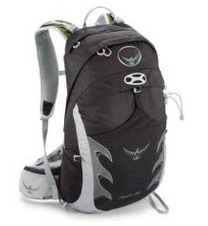 These are well-made, quality backpacks that are comfortable to wear for a full day of hiking, traveling, you name it. They are very lightweight & durable. We own three L.L. Bean down sleeping bags. The quality of these bags compares to bags sold by the North Face, REI, and Western Mountaineering for about half the price. L.L. 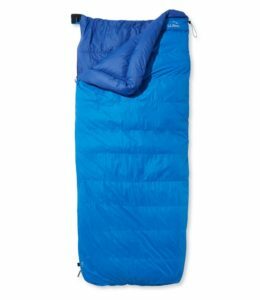 Bean uses the new down dry loft technology that almost guarantees a warm night in the sack. I wait for a sale and scoop them up for about $50 off including free shipping. This is made for the week-long warriors in your life. Ice retention is 7-10 days. That translate to a minimum of 5 days for families with kids that go in and out of the cooler all day. 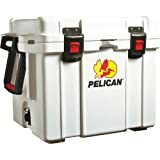 Premium coolers are worth the price when you consider that the value of your food is usually higher than the price of the cooler. We often start with over $200 worth of food when we pack frozen meat. Pelican is a major supplier for military and law enforcement. Thule rooftop gear boxes are for everything from skiis and snow boards to camping and scuba gear. Do you ever have issues trying to find important gear and not sure where it’s stowed away? Organization is key. We bought a Thule roof top cargo box and it’s one of my best purchases ever because it gives us more storage for our Subaru wagon. Setting up camp is much easier when all the camping gear like sleeping bags, mats, and tents are stored neatly above. I used to think gift cards were thoughtless and lame until I received one. These are awesome! ‘Nuff said. 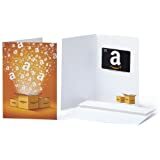 My favorite online retailers for camping gifts are Amazon, REI, Walmart, L.L. Bean, and BackCountry because all have liberal return policies and outstanding customer service. What are your favorite gift ideas for an outdoor person – we’d love to hear what you suggest as well to add to our list! Guest Post: Mark Keeler is a freelance travel and fitness writer. He blogs about his camping and travel experiences at CampwardBound. He lives with his wife and two boys in the Bay Area of California.